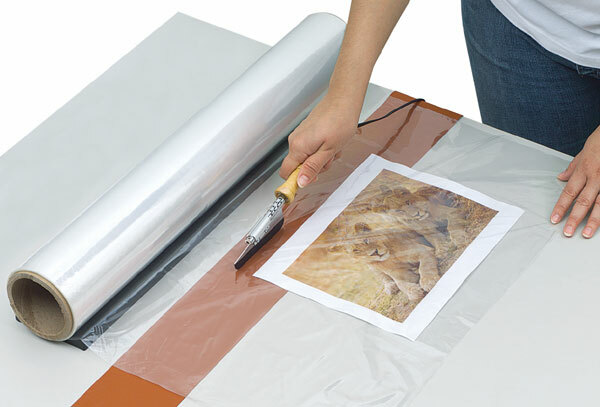 Enhance the appearance of your art, by protecting them with the Mountex Shrink Wrapper Kit. This museum-quality seal lasts for years. Kit includes a film sealer, silicone pad, film dispenser, roll of 24"W x 100'L shrink film, and a heat gun.